This meeting should be awesome (no bias here – just one of the external coorganizers). 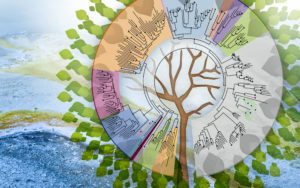 The workshop aims to foster discussions centered on how to capture, define, quantify, and functionally characterize microbial and viral diversity. It focuses on experimental innovations, computational advances, and other technological developments that will enable researchers to move from identification of microbial novelty to assigning metabolic and functional capabilities. Click here for the complete NeLLi 2017 agenda. Registration fees: $300 USD regular, $100 USD for students/post-docs. Click here to register. Walnut Creek Marriott group rate is $145 USD per night (April 4 – April 6, 2017). Click here to book your group rate. Metagenomic and single-cell sequence data have provided a means to access “microbial dark matter” (MDM), leading to a new appreciation for the extent of diversity. A bonanza of novel microbial lineages have recently been identified and we are currently challenged with how to define this novelty. Furthermore, we would like to move from cataloguing microbial diversity to experimental characterization and validation of the functional potential of these new lineages. Day 1 will provide an overview of the bacterial and archaeal diversity catalogued to date and discuss approaches to define phylum-level novelty (morning session). Under the “sequence to function’ umbrella, the afternoon session will focus on computational approaches to characterize MDM and sequence novelty and the morning session on Day 2 will focus on experimental approaches to assign functional “read out” to sequence data. We will also discuss leveraging improved experimental design for enhanced biological interpretation, highlight experimental capacity through collaborations with EMSL and through the ETOP and close out with a brainstorming session on a community-driven large-scale CSP project focused on functional aspects of MDM.